As a developer marketer, your job can sometimes feel like an uphill slog. You have to constantly find new ways to reach an audience that can be a bit marketing resistant to start with. How can you get your product noticed by developers? 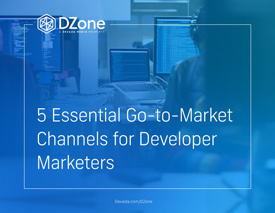 Five important developer marketing channels. Tactics in each channel that resonate with developers. And a surprising tip to give your program a jump start.